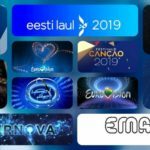 EMA is back again according to Slovenian national broadcaster RTVSLO, as the country’s national selection format. The Slovenian national final will go through some major changes in this year’s edition, as the two semi final rounds introduced the last two years, will be eliminated and the show will consist of only one final show. 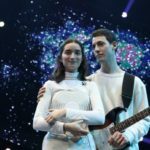 A total of 10 acts will compete in the national final for the golden ticket that leads to Tel Aviv next May, while a special committee will select the two entries which will compete in the Super Final. From these two the public will decide which one will travel to Tel Aviv. EMA 2019 contestants must be Slovenian, but their entry can be in any language. 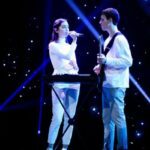 All interested acts can submit an application until December 14, while the broadcaster reserves the right to invite some composers to compete in the national final. After submission are over, a panel of experts (not more than three) will review the applications and the finalists will go public no longer after December 28. Host of the show haven’t been confirmed yet but according to latest reports Lea Sirk , this year’s representative, is more than likely to present the EMA 2019 final. Slovenia debuted at the Eurovision Song Contest in 1993 with 1X Band and is yet to win the competition. The country’s best result in the contest is a 7th placing, achieved in 1995 (Darja Svajger) and 2001 (Nusa Derenda). Slovenia has competed 24 times in the contest since their debut in 1993, the country has partaken in the competition religiously every year with the exception of 1994 and 2000 when the nation was forced to stay out of the event due to the relegation rules of the contest back then. In 2018 Slovenia opted to select its Eurovision act and entry via its traditional national selection EMA. Lea Sirk won the golden ticket to Lisbon with her entry Hvala, ne!, placing 22nd in the Grand Final.